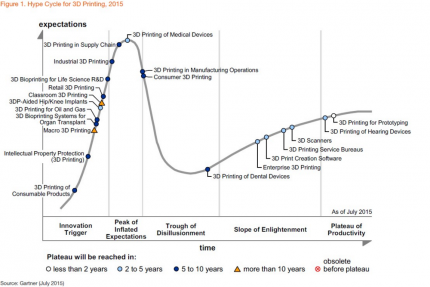 Why Should Enterprise CIOs Care About 3D Printing? The fuel nozzle of a jet engine is an engineering marvel. The nozzle sprays jet fuel into the combustion chamber where it mixes with incoming air to form a high pressure high temperature gas mixture (3000 degree F) which powers the turbines of the engine and makes the plane fly. These nozzles have to perform consistently at such extreme conditions for thousands, or tens of thousands of hours. GE, one of the premier jet engine manufacturers, normally builds a nozzle by welding together 20 different components sourced from independent suppliers. This is a painstaking process because of the high performance demands on the fuel nozzle: even a small mistake could potentially cause engines to malfunction in mid flight, with devastating consequences. The end result is an engineering marvel, one monolithic piece that has replicated the complex interior passageways and chambers of the old nozzle down to every twist and turn …. Every LEAP engine will be outfitted with 19 such nozzles. For many of us 3D printing still has novelty connotations. Sure, 3D printers are increasingly becoming cheaper, and people have been using them to print coffee mugs and knick knacks. One guy has even printed out a fully functional handgun. Then, there are hobbyist sites which hosts design files that you can download for free and use increasingly affordable desktop 3D printers to create real world objects. •	The industry grew by $1bn for the second year in a row and is now globally worth $5bn. •	Sales of metal 3D printers were the most promising: in 2013 the sales were up by 74%, and in 2015 they still increased by 45%. 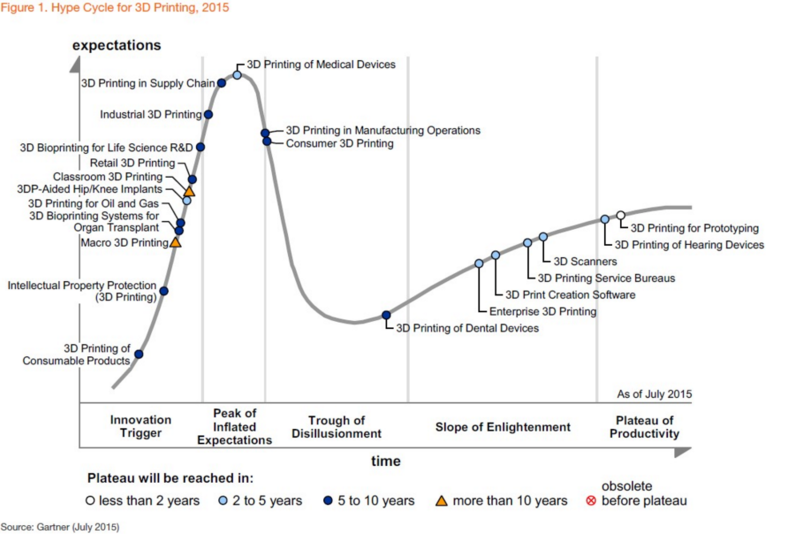 •	In 2015 13 more companies were selling industrial grade 3D printers compared to 2014. 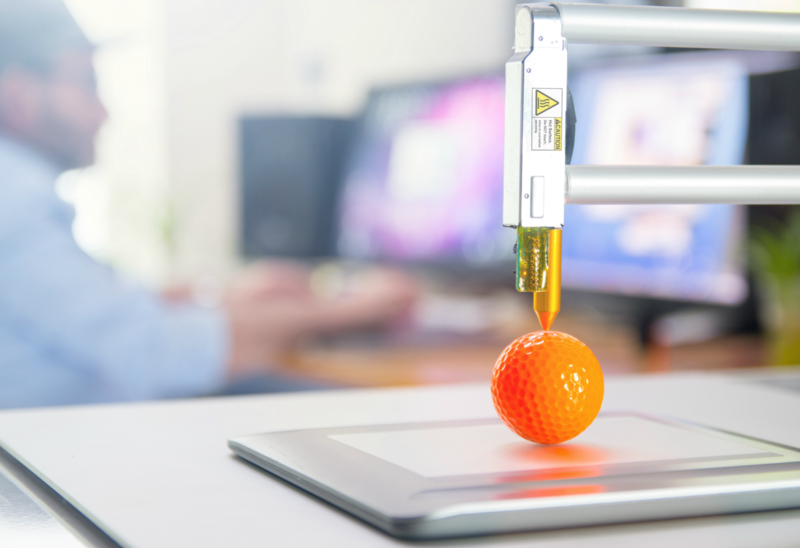 According to the Worldwide Semiannual 3D Printing Spending Guide from IDC “global spending on 3D printing will grow at a 27% compound annual growth rate (CAGR) from nearly $11 billion in 2015 to $26.7 billion in 2019”. In light of these trends it would be risky for an enterprise to ignore 3D printing as it can disrupt industries as varied as healthcare and medicine, automotive, retail, electronics, industrial manufacturing, food etc. 3D printing will also have a profound impact on supply chain and the economics of manufacturing. The design-to-manufacture loop can be shortened, designs can be rapidly tested in the wild, factories can have less downtime and production schedules can be adjusted according to demand and supply. This is where the CIO can really shine. For CIOs who want to be Change Instigators or Business Co-Creators 3D printing initiatives can be another way to drive innovation, create business value, and establish IT as a strategic business unit. When a business adopts 3D printing there will be increasing load on the corporate network as massive design files travel from one computer to another. Data security concerns will crop up because many of these files will contain sensitive intellectual property. These network issues will need the CIO’s attention. In case 3D printing is outsourced CIOs will have to establish protocols for working with third party printing and design bureaus and co-ordinate with other business units like manufacturing and sales to set up workflows. And because 3D printers are not like blast furnaces which take a year to start up they can be hooked into inventory and shipping systems so that data on demand and supply can be piped through, making factories smarter. For this to happen, the CIO will also have to lead the system integration. For many verticals 3D printing right now is what e-commerce was in the early 2000s: cute idea in theory, but pooh-poohed as a impractical. Additive manufacturing has a number of hurdles to overcome like absence of standards and immature technology, slow and inaccurate printers, inability of printers to use multiple materials or to print complete systems etc. But these hurdles will be ironed out as the technology matures, and those companies and CIOs that will start experimenting with this technology now will win handsomely in the midterm.